with our microblading experts in Austin. 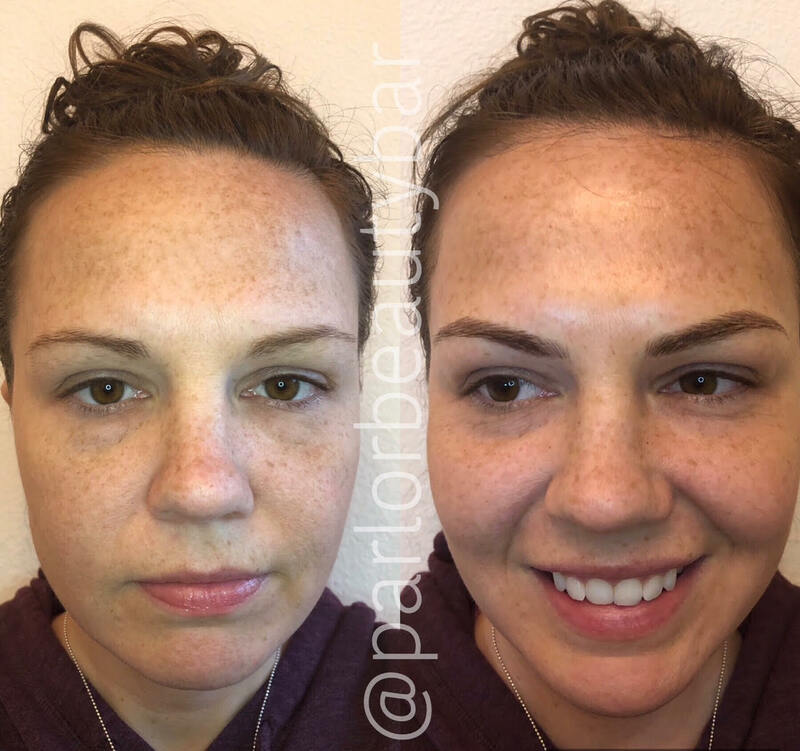 Consultation for microblading includes shape mapping, allergy testing if needed, color matching, and all the info you can handle to prep for your microblading magic journey. A credit card is required at time of booking to secure your appointment. A non-refundable deposit of $150 is required to reserve your appointment time with our artist. This deposit will be applied towards your microblading session balance. Please understand we are reserving 3-hours of our schedule for your appointment. All microblading appointment cancellations / rescheduling must be made 3-days / 72 hours before your scheduled appointment. If you reschedule within 72-hours of your appointment, we will require a NEW $150 deposit and your first deposit will be forfeited. 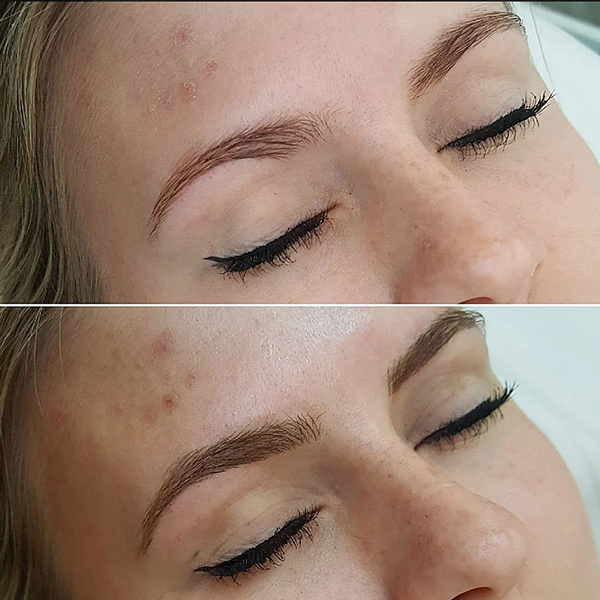 Microblading is a safe, non-invasive procedure that produces semi-permanent results, giving the effect of ultra-fine, delicate hair strokes that blend seamlessly and mimic your natural brow hair along the brow bone. 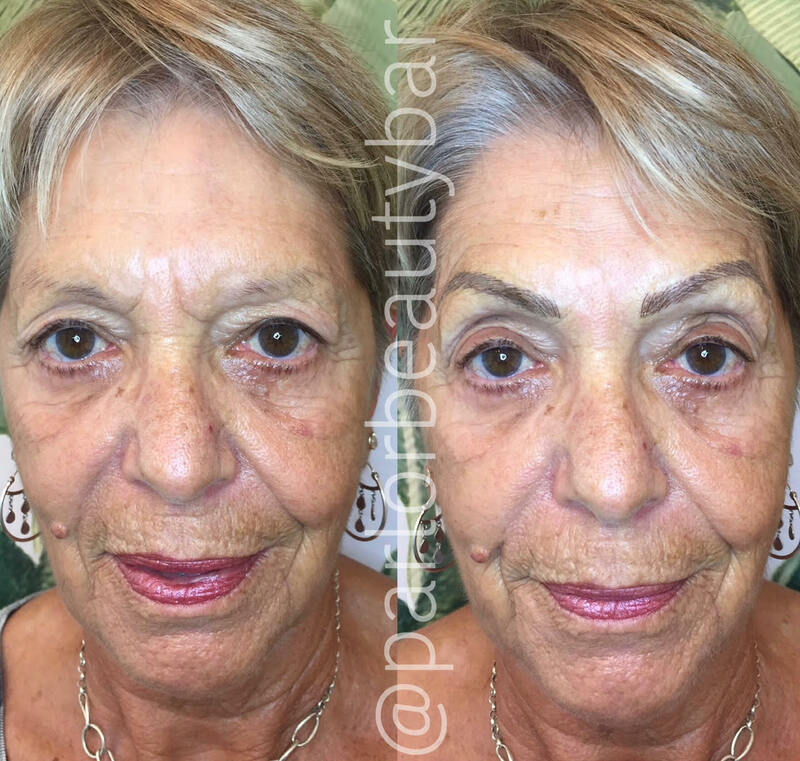 Through the manual process of inserting pigment into the upper layers of the skin, we’re able to create the desired fullness and shape of the eyebrows. The strokes of pigment implanted imitate eyebrow hairs, appearing crisp + extremely fine, perfectly mimicking real hair. Microblading results can last up to 12 months (or longer with touch-ups.) This perfecting session/touch-up must be completed within 4-6 weeks of your initial session. *A non-refundable deposit of $150 is required to reserve your appointment. This deposit is applied towards your Microblading session. *Please note all microblading sessions are based on time. 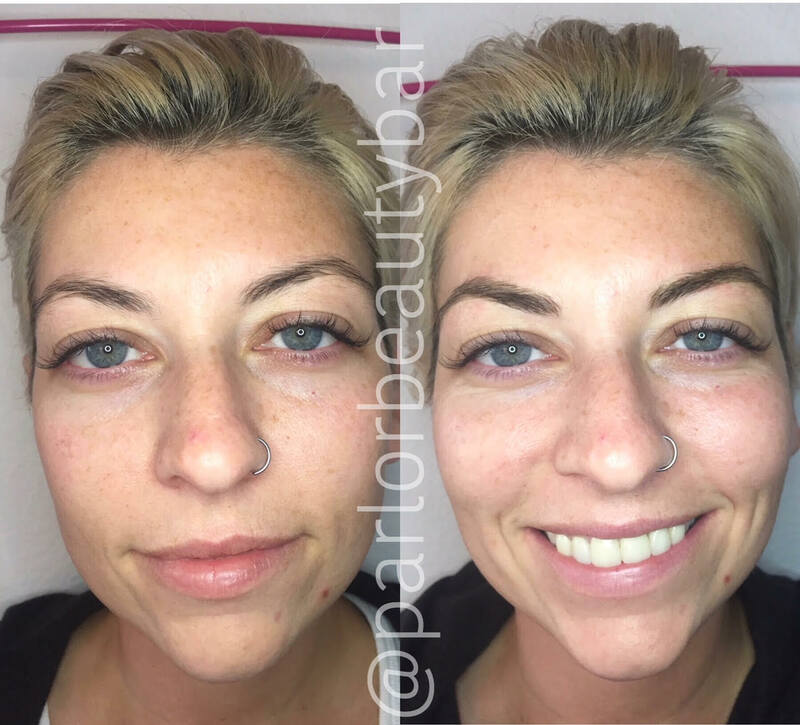 An Existing Client Parlor Beauty Bar perfecting session/touch-up needs little to no measurement required to discern the treatment areas. Think of the touch-up session as a semi-permanent spot treatment. 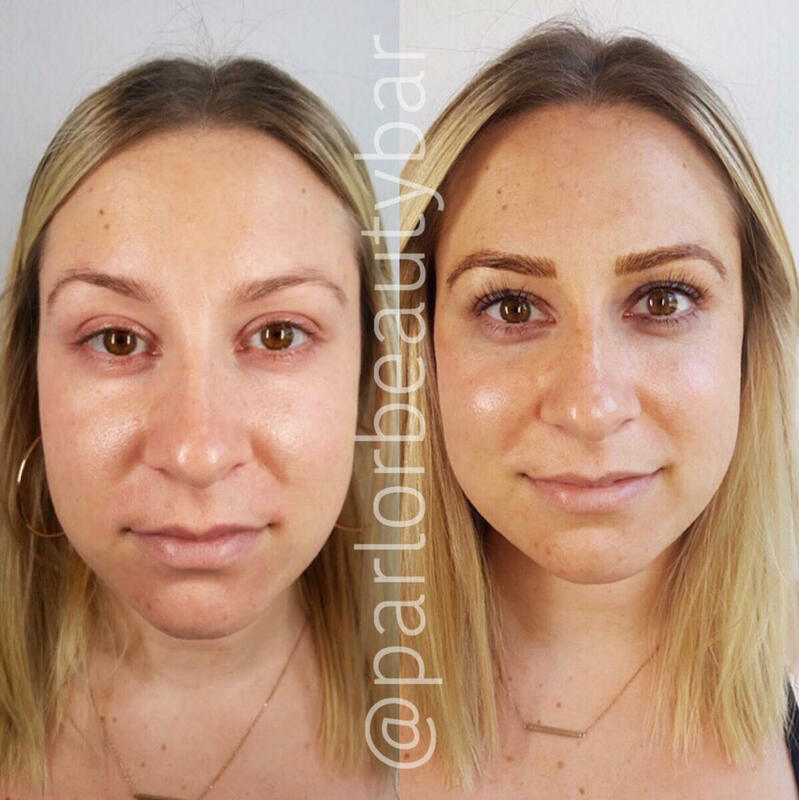 ***Existing Clients: Parlor Beauty Bar Perfecting Session/Touch Up is reserved only for our existing clients that have previously had microblading at Parlor Beauty Bar. *Please note all microblading sessions are based on time. If you need more or less time during your session we will adjust the price accordingly. 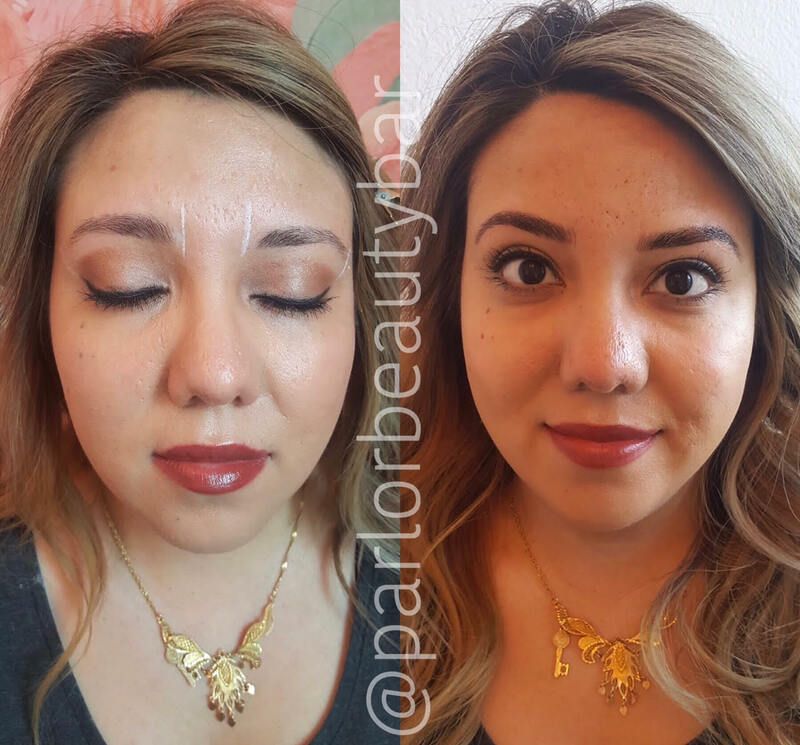 **Touch-ups are only for those clients that have previously have microblading at Parlor Beauty Bar. A credit card is required at time of booking to secure your appointment. A non-refundable deposit of $100 is required to reserve your appointment with our artist. This deposit will be applied towards your microblading session balance. 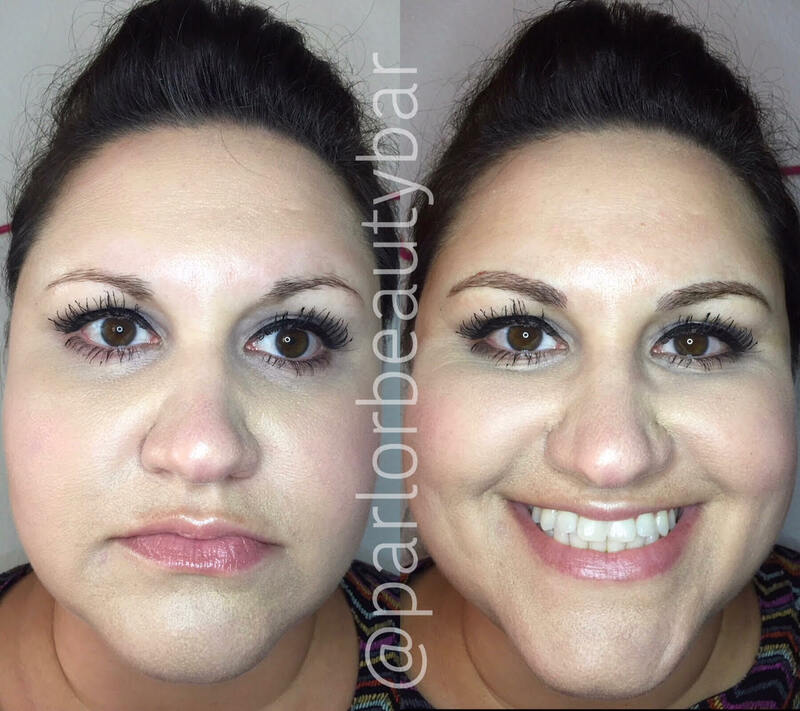 All microblading appointment cancellations / rescheduling must be made 3-days / 72 hours before your scheduled appointment.If you reschedule within 72-hours of your appointment, we require a NEW $100 deposit and your first deposit will be forfeited. 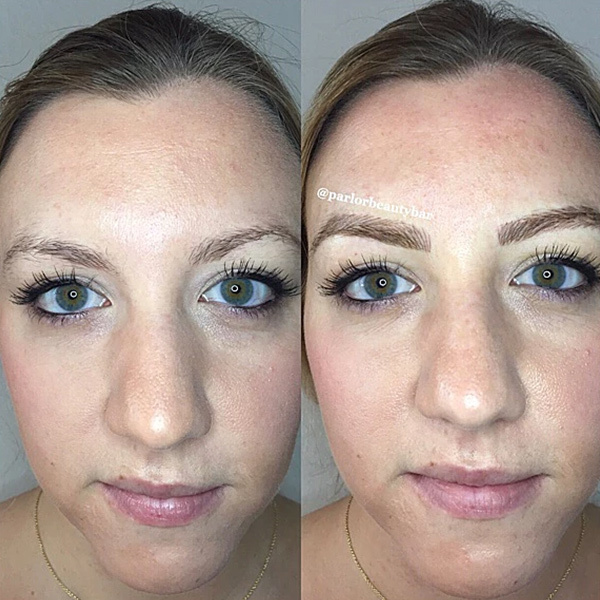 Did you go to another brow studio for your microblading? 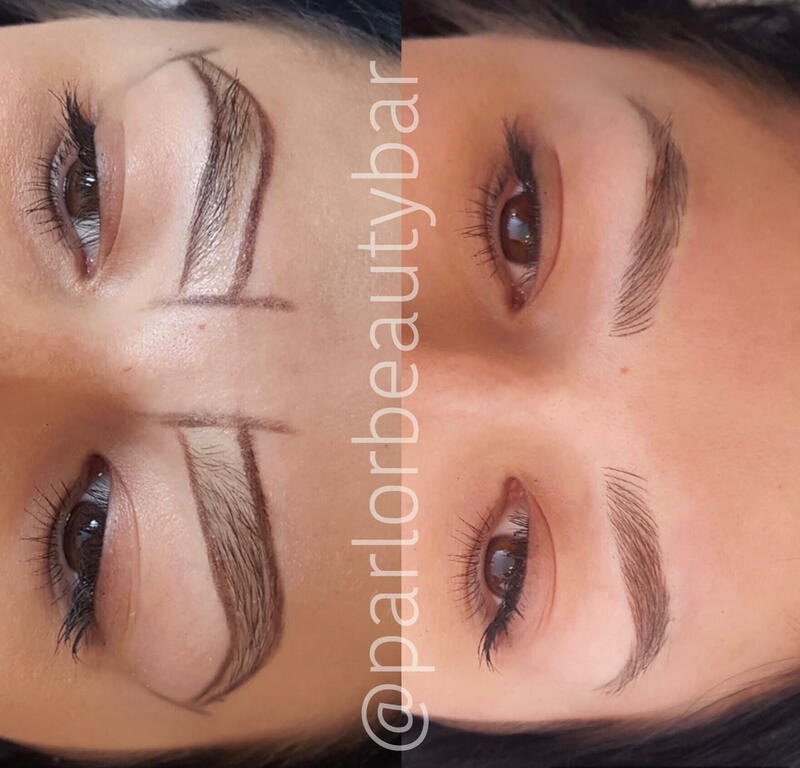 This service is reserved for new clients that have had microblading outside of Parlor Beauty Bar but are in need of a touch-up. ***Please note: Our artist must be able to define the pigment placement from your initial session in order for this session to be considered a light session touch-up. Otherwise, you will need to book a moderate or full session. "This is hands down the best Salon experience I’ve ever had! I treated myself to a blowout, full-face makeup and eyelash extensions! I could not be happier with the results. I left feeling amazing! -- I'm constantly getting compliments on my lashes and now natural they look. The staff is so welcoming and friendly.I just went back to get microblading and WOW I cannot believe I didn't get this service done sooner! I'll admit I was nervous, but I had NO reason to be! Charlotte walked me through the process beforehand and then I was handed off to Marti and my brows came out better than I could have ever imagined!Ladies (and gents!) give this local spot some love. You will not be disappointed!" "Where do I begin?! 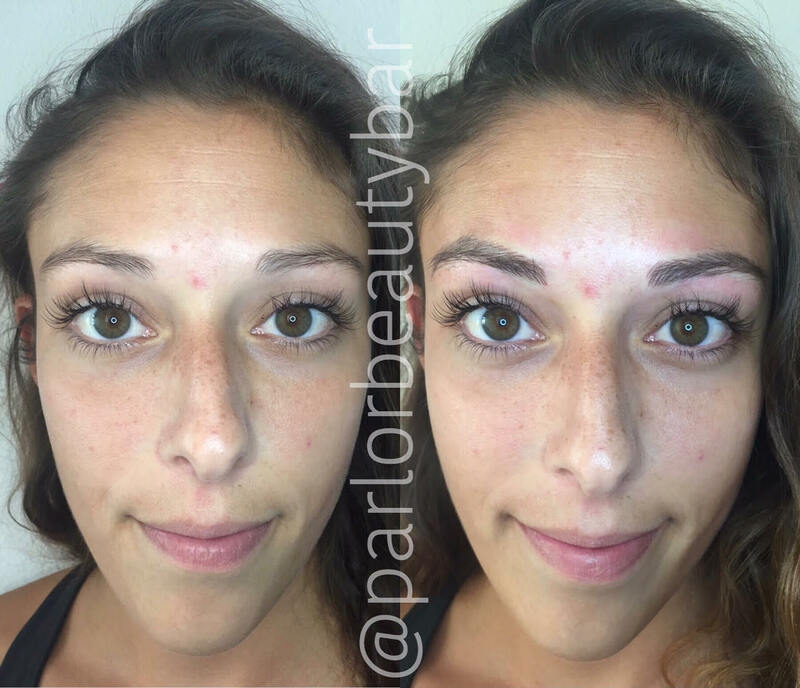 I was referred to Parlor Beauty Bar by my sister for microblading and had AH-MAZING results! I shopped around for a long time and Parlor Beauty Bar by far exceeded my expectations. The staff is friendly and professional. The process was painless! It's very clear to see they all love what they do. My newly microbladed eyebrows came out better than I could imagine. I'm so glad I found Parlor. I've already been back for a blowout and plan to use them for my friends bachelorette party in March that I'm planning. THANK YOU ladies for helping my brows out . ♡ I absolutely love them!" 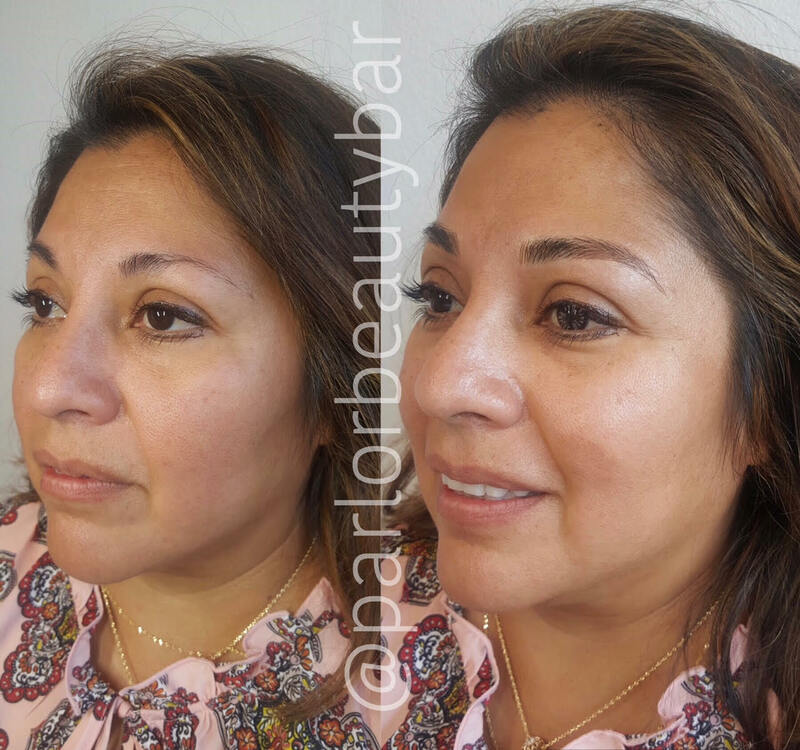 "Loved my experience at Parlor Beauty Bar! I had my eyebrows microbladed and honestly I couldn't be happier. I've been super self conscious about my very light blonde brows for years & would never leave the house without spending too much time using makeup to fix them. Now I can just get up can go in the mornings! She really took the time to find out exactly what I wanted, what color (I was fearful about getting the classic blonde hair, yellow pigment) and the perfect shape. The entire experience was pain free and a lot of fun. Will be going back any time I need a touchup." 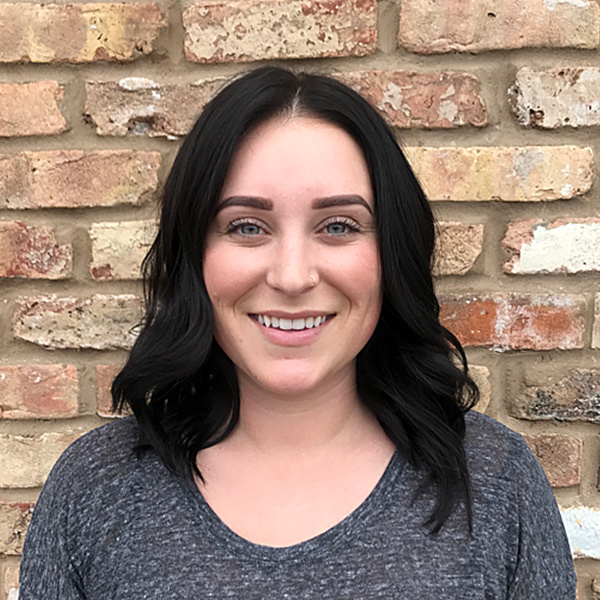 "Such a gorgeous space to be pampered in by the amazingly talented staff!I had microblading done by Natalie and it has changed my life! The procedure was simple and professional and my results are beautiful! I could not be happier with my microblading experience - and now I awake up confident and ready to go!" "I love love love this place!! I got my eyebrows microbladed here and hallelujah, I have brows again!! Top notch quality. I highly recommend PBB!" How long does healing take ? The complete healing process takes up to 4 weeks, but you will have only 7-10 days of specific aftercare following each session. Please allow at least a week if you have an event or special occasion coming up. 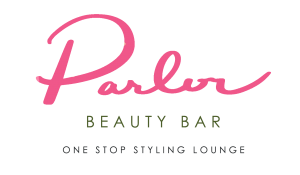 Parlor Beauty Bar will provide you with the necessary aftercare instructions and kit. Your new semi-permanent eyebrows will go through several phases during the healing process. The pigment will appear very sharp and dark immediately after the procedure. This is because the pigment is still sitting on top of your skin and has not yet settled completely. The color of the pigment will soften gradually, and you may see some pigment on your towel after washing your face, or on your pillowcase – do not be alarmed. Once the healing of the skin starts taking place, the brows will look like they have dandruff flakes or dry skin. 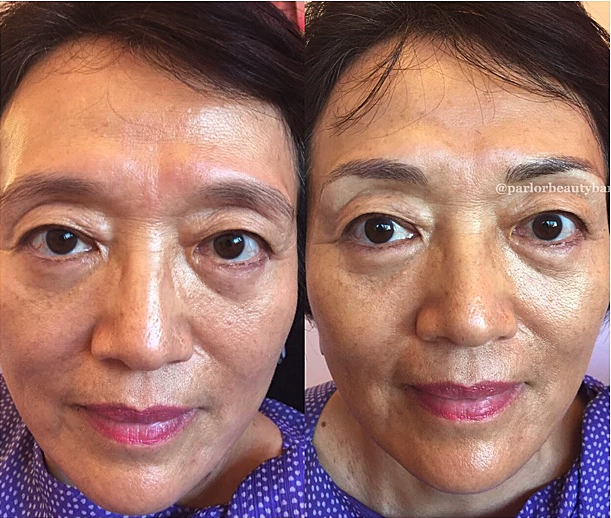 This might give you the impression that the color pigment is fading too quickly; however, this is just superficial color and dry skin being naturally removed from your eyebrows. After a couple days, this will subside. Once completely healed, we advise applying a layer of sunscreen on your eyebrows when exposed to the sun, as sun exposure might cause the color pigment to fade away more quickly. Everyone’s skin is different so it greatly depends on your skin composition and your healing process. No guarantee can be made that a specific client will benefit the same as another from this procedure. 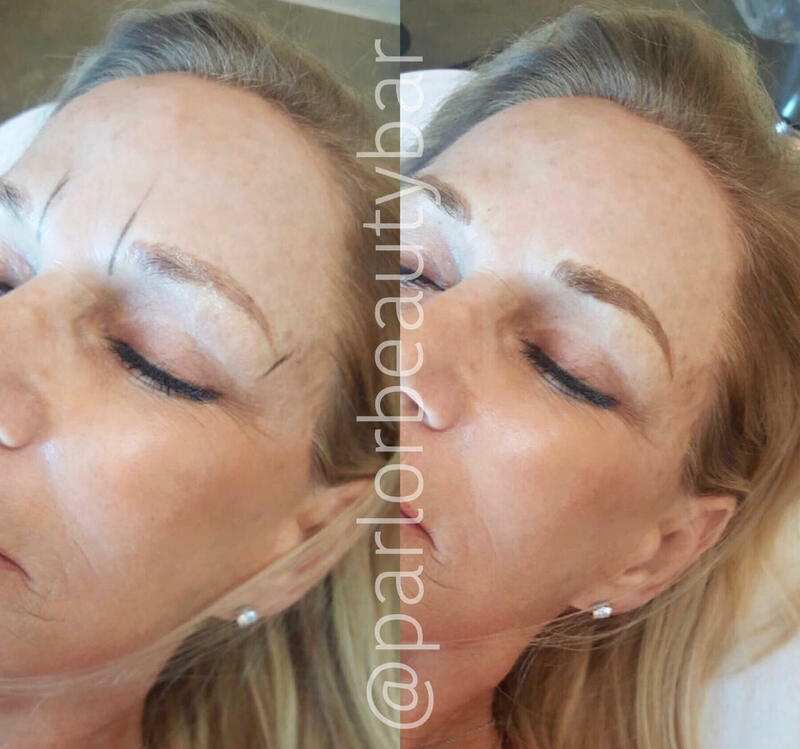 Parlor Beauty Bar implants pigment into the basal layer of the epidermis; it is a form of cosmetic tattooing, using fine, delicate strokes to make the brow look as natural as possible. Other factors that play a role in longevity are skin color, the pigment used, the thickness of the lines, and mostly how aggressive your immune system is in metabolizing the pigment. Factors such as sun exposure, BOTOX, AHA’s (lactic, glycolic, citric, retinoic and tartaric acids) or any OTC creams and lotions for tone correcting, anti-aging, exfoliating, or lightening the skin can cause your microblading to fade. How do you choose a color ? Parlor Beauty Bar uses the highest quality pigment available. Your microblading specialists will choose the color that is perfect for you. What about after my microblading treatment? – Skin Irritations near area; sunburn, Psoriasis, etc. All cosmetic appointments require a credit card to hold your spot. 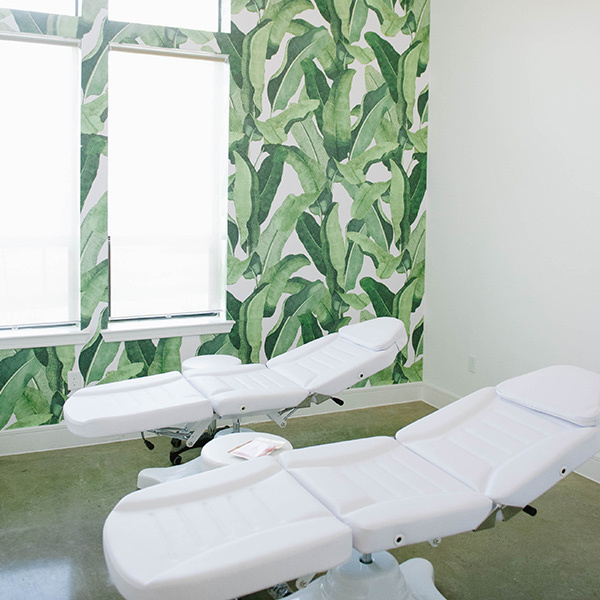 Cosmetic tattooing appointments require $100 non-refundable deposit at the time of scheduling. This deposit does go toward the balance of your appointment, but if you reschedule within 3 days of your appointment, we require a NEW $100 deposit and your first deposit will be forfeited. If you cancel your appointment with less than 24 hours notice or are a no-show, your credit card will be charged for 50% of the service price. You will also be required to pay for future appointments at the time of scheduling. In no event shall deposits, tips and/or any monies paid to Parlor Beauty Bar, LLC services be refunded.